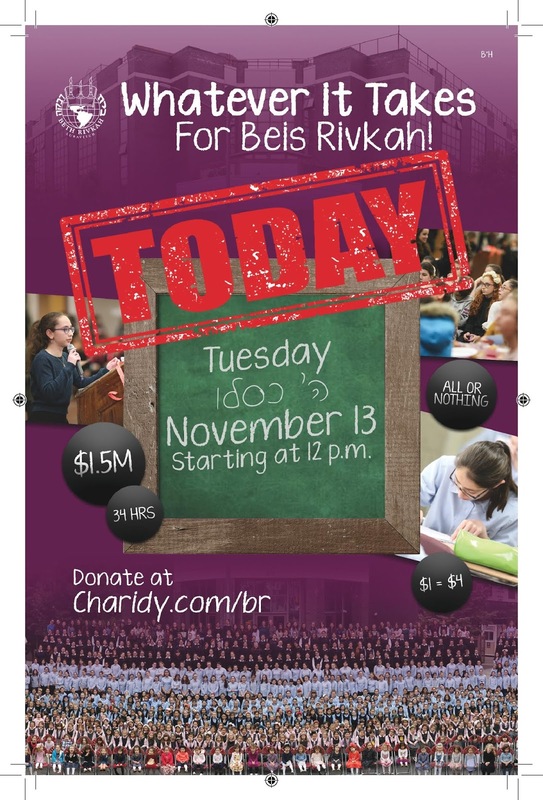 Bais Rivkah Does Whatever it Takes! For more than 78 years, Beth Rivkah in Crown Heights has brought deep commitment, dedication and integrity to the education of Chabad’s young women and girls. Give now and help Beth Rivkah continue to do what it takes to educate and inspire the next generation of Jewish women in 2019. IT TAKES ME. IT TAKES YOU. IT TAKES US. A strong Jewish future starts with strong Jewish women. With your support, together we can ensure that our students receive the tools, resources and support to build dynamic, chassidishe lives. Every dollar you donate is QUADRUPLED!